A Note to Readers. On February 20th, our Father placed particular emphasis on how we participate in Communion. It's essential that we go to Confession before Communion. When we don't, and we partake of the Eucharist, it is irreverent and points to a lukewarm Heart - one that is indifferent to what He calls us to do. Many of us "excuse" ourselves and go for Communion despite knowing in our hearts that we have sinned (how not?!). I will speak for myself in saying that I crave the Eucharist, and therefore I will say to myself, "Well, I'll go to confession during the weekend." Or, "I haven't done anything that terrible over the last few weeks." Like others, I can't afford to make excuses. God has blessed me in countless ways, and yet I am a lazy servant who constantly sins. I hope you will join me in going to Confession weekly. It isn't easy or convenient, but if you pray deeply beforehand, you'll find that God grants you an amazing gift. He will point out where you are weakest; the areas we sometimes cannot see. That is a huge gift for our Souls. Thanks for indulging me (again), and please, take this seriously and encourage others to do the same. There are too many people who think Confession isn't necessary. Lord help us, it is very, very necessary. Children, I request that you pray. Pray for this tattered World which stands before Me, proud, lustful, and degraded. Pray, for the sins of this World are terrible and damning. Pray for those who will die, that their Hearts be moved to penance, Belovéds. I do not wish to lose even one Child to the fallen one, but so many leave Me and fall. Many mistake believing in the transients (transitory) and lies of this World. You place what is worthless before the health or protection of your Souls. You are so short-sighted, My Belovéds. Why do I warn you so often and so obviously? The storm always comes when you have been warned to prepare. I warn each of you, but so few prepare. Children, you are My Belovéds, and all that I do, I do so that your Hearts grow closer to Mine. Children, can you not see that you were meant for Love and I was meant for you? There should be no separation between Our Hearts, yet there is a chasm between My Love for you and your Love for your Lord God and Father. This chasm is created by doubt, lukewarm Hearts, inattentiveness, and your lack of faith in the Living God. You prefer to dwell in dark places and where there is no Light, you cannot see what is before you. When there is no Light, you are blind within the darkness. So it is with the evils within this World. You are drawn into darkness and this blinds you to its detriments and pulls you away from Me, and your Love and trust in Me. It makes you profane and drives (you) to believe what is black is white and what is white, black. It drives you to believe in the lies of this World, and the treasures it offers to you are false treasures. Know, My Belovéd Children, that you cannot serve this World and Me at the same time, for all that this World treasures pulls you away from your Holy and Righteous Master. Thus, you cannot serve both the World and Me. Children, the World creates cheap priorities for you. You concern yourselves with things that will not matter when you face judgment. You cannot buy Mercy nor can you charm or fool it. Belovéd Children, now is the Time to be wary for your Souls. Now is the Time to work towards a prayerful life, one that is filled with Love and trust in the Lord God. When you are with Me, I remove your burdens. I give you fortitude and peace that these difficulties become bearable and even joyous. This is a blessing that Man cannot comprehend if their Hearts are adrift. Those who stray no longer enjoy the peace and Mercy I offer to them by My GREAT Love. Children, I LONG for the Love of ALL My Children. I long for each of you to approach Me with trust and repentance that I may embrace you and make you whole with Eternal Life. Children, the sins of this World are terrible, and each day that passes and Man does not change what he does, is one moment closer to My Response or action. I wish to heal your Souls and show you with opened eyes the reality of sin and its detriments. You have not believed when you were given My Affection and blessings. Your behavior did not change when I sent the Most Blesséd and Holy Mother to warn you. Man requires great destruction or a clap of thunder from the Heavens to garner your attention. Why have you not chosen to notice Love instead of loudness or chaos? Belovéd Children, it comes in the spring and you shall know the detriments of your sins. Do not place your anger upon My Heart, My Children, as all that I do and all that I permit is for the good of My Belovéd Children. A Father does not push his children out of his home. He teaches them about the dangers of this World and asks that they stay with their Loving Father whose Love and affection for each Child is unmatched. Thus, My Children, choose to Love your Lord God and Father with the whole of your Hearts, minds, and bodies. 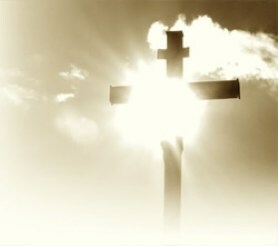 Love every moment Cherishing My Love and praising My Belovéd Son, the Christ Jesus, with full adoration and reverence. Turn your backs on the lies of this World. Learn to live within the graces of My Rules, for I do not ask much, and when you Love your Lord God and trust Me completely with your Lives, all things become simple and easy. When your Heart is Mine and your Love is given fully to Me, you rejoice and are given the strength to Love your brothers and forgive your brothers for their sake alone. Children, do not be whimsical with your Time. Become prayerful, My Children. Pray and attend Confession in preparation of the GREATEST GIFT and Most Divine Savior. The Eucharist, My Belovéds, is never to be taken half-heartedly. It is not to be approached without Love and reverence. For within and of the Eucharist is the Christ Jesus, My Belovéd Son and your Eternal Savior. Do not denigrate His Sacrifice with lukewarm Hearts and unprayerfulness. Children, We are One with the Holy Spirit and as One Love you and crave your Love. When you are prayerful, I give good gifts to you. When you are prayerful and attentive to the Christ Jesus, I bless you with strength, constance, and the power to discern the truth from the lies. Thus, I say, pray and know what I accept and what I do not accept. Know what I Love and those things I abhor. Understand the nature of sin and do not compromise with it. Remember, My Belovéds, you cannot serve this World and Me. I am the Light of Eternal Life. Trust in Me, and I shall embrace you Most Lovingly. Children, I call on you to pray fervently for this World. Man cannot continue sinning with unrepentant Hearts. The sins of Man are terrible, and you must cease sinning so freely. Bring your Hearts to Me, and I will forgive. I forgive the penitent and contrite Heart. I Love every Child I have created. I do not destroy that which I Love, and I Love My Creations, My Belovéd Children. Trust in Me, My Children. Give your Hearts over to Me completely, for Time is short and the whole of Heaven cannot bear to witness the calibre of Man’s sins. The whole of Heaven calls for justice, yet I have stayed My Hand by your prayers and by the gentle intercessions of the Most Beauteous and Beatific Queen of Peace and the Mother of God. Still, Heaven calls for justice. My Angels call for justice as they are appalled by the wounds you continue to inflict upon the Christ Jesus. Pray, My Belovéds, and remain close to Me. Do not stray and do not be duped by the lies of darkness or the words of sophists who crave you to sin. Believe in My Love and Mercy alone, and I shall sustain you and all those you Love as a Loving gift for your consistent attention and Love of the Christ Jesus. Amen, My Children, and I say to you, endure this World with My Peace and Love on your lips and the Christ Jesus in your eyes. Peace, My Belovéds. Peace. Father, I Love how affectionate You are. Thank You for Your many blessings, especially the snow. Belovéd Child, I give to you these joyful gifts to sustain you and bring joy to the Child I adore. You are My Belovéd Delight and your Heart is My Home. Belovéd Child, continue to pray for discernment, for you need it even now. Do not be misled by the sophist who would see you silenced and become a betrayer of Love. Take solace in prayer, My Child. I hear your prayers, and in My Love and Compassion for you, I forgive you your transgressions. Child, you must work harder against sin. Still you are weak when you must be strong. Pray and call out to Me in your times of need and in your times of weakness. I answer with Great Love and Mercy. Pray too for this decaying World that makes folly of its limited Time and continues to reject My Love. I grieve over the many Souls that are lost, and so many will become lost as they meet death. Do not be one of those who are lukewarm and content to move within the fallacies of this World. Children, you must not grow complacent, even as you believe the Time is not yours. Do not grow complacent, for it is when you are least prepared when the sudden storm takes you by surprise. When you are warned, you prepare. You have been warned multiple times by legions of My Children. You have been warned and instructed by the Queen of Peace and the whole of Heaven, but still, the World ignores what She proclaims. Children, the Mother of God and Blesséd Handmaid of Mine Loves this World as I Love this World. Man insults and degrades Her Holiness without thought and rejects the redemption My Most Belovéd Son gives to you by His Loving and terrible Sacrifice. The Christ Jesus weeps for Man and the darknesses that are carried within your Hearts. You have believed in this World of irreverence and no longer believe in the Power and Majesty of My Most Belovéd Son. You have forgotten the Great Power of My Love for you. You have tossed aside Love and Eternal Life for want of money, position, and attention. Children, the temporal treasures of this World will not save your Souls from perdition. Know that I am a Just Lord and a Merciful God. Where there is sin, there must be repentance and penance. I am your Loving Father. My Belovéd Son, the Christ Jesus, gathers His flock, His prayerful Children, and requests you pray ardently for this World. Children, this World is on the precipice of My Just actions or reaction or chastisement. This World sins against Me so completely, the whole of Heaven weeps and cries out for justice. The whole of Heaven stands appalled by the sins of Man and pleads for justice. Children, your prayers of Love have stayed My hand many times, because I revel so in the ardent and Loving prayers of My Belovéd Children. You are ever close to My Heart for your constancy. Belovéd Children, continue your prayers, for they save many, especially those who are most in need of My Love and Mercy. Children, do not wait but become one in Communion with My Belovéd Son, the Christ Jesus. The blessings that are poured out upon you through the Christ Jesus are infinite. Partake of the Christ daily. Do not give up any opportunity to receive Him and adore Him. Soon, many will not find the Eucharist, and you shall long for the Christ. You will grow thirsty for Him and long for more Time. Belovéd Children, this World is in turmoil from its sins of death and great hatred. The turmoil grows and peoples will spread across other peoples and wars will annihilate many. The earth trembles because Man has adopted and accepts sin and rejects the Love and Mercy I offer by (through) My Belovéd Son. Man has thrown out the precious gems and gold in exchange for the dung of pigs and mules. You have rejected what is good and blesséd for what is evil and tarnished. You have been mesmerized by the fallen one and his ploys to ruin the Souls of Man. Children, release your Hearts and Souls of these sins. [through Confession] Come to Me and reject what is dark and deceitful. I Love each of you dearly and wish only to have My Belovéd Children happily and safely ensconced in the Kingdom of Heaven. The fallen one uses what is temporal and desired to lure Man to sin. His gifts are lies and lead you only to perdition. Do not believe the lies he spreads within this World. You must not condone sin. You must never compromise with sin. Even as those you Love dearly sin and encourage you to follow, do not sin. To sin for Love is a detrimental trick. For Love does not call you to sin. Love calls you to All that is Good and Correct for your Souls. Be wary, My Children, for you are being tested every day now. Do not allow the World to convince you that sin is not sin and that black is white. The sophists work hard to fool the weak in prayer. It is often those who are lukewarm who descend into the deceitful lies of the temporal. Because the lukewarm do not know Me, they are easily fooled and accept those things I do not accept, and the lukewarm continue to mistake what is good as bad and what is sinful as good. How this World is paganized and (has) turned My Belovéds into swine. Belovéds, I forgive. You need only come to Me with sorrow in your Hearts and atonement on your lips, and My Love envelops you and Mercy is yours. You need only come to Me. Belovéd Children, do not delay. Bring yourselves closer to My Love, and never stray. I give to My Prayerful Ones the fortitude, constancy, and discernment that you need even now to keep you safe from lies, deception, and those who would lead you to stray from your Loving Father and Lord God. Pray, My Children, especially for My Belovéd Servants who must be strong and ever-faithful in their devotion to Me. 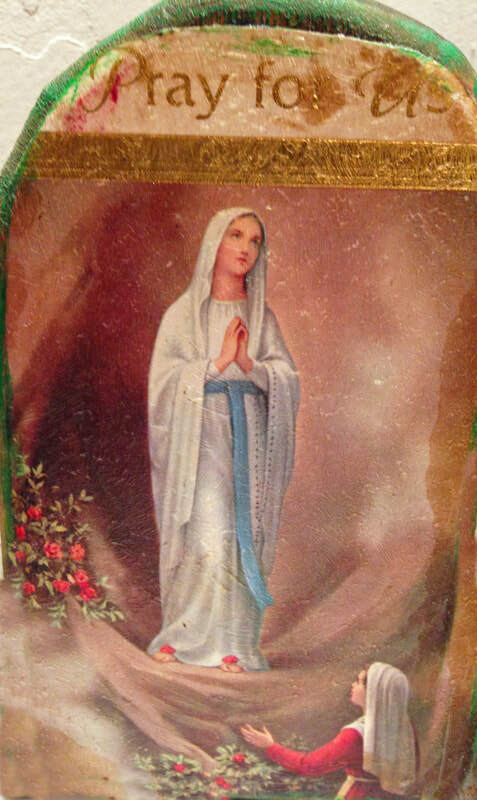 Many are spiritually weak, and your prayers lend them the grace they need to guide My Belovéd Children rightly. Children, do not fear what comes. That it shall be most difficult should not concern you. I provide all sustenance and embrace and hold My Belovéd Children in their hour of need. Do not be afraid, but trust in the Love and Mercy of your Lord God. Wait upon My Belovéd Son, the Christ Jesus, with Love, adoration, reverence, and joy. He is your saving grace, your Light, and your Redeemer. He whom My Son Loves, so I shall Love. He who My Son forgives, so shall I forgive. He who is gathered Lovingly to the breast of My Son is thus embraced by (My) Heart. Children, those who have desecrated what is divine and holy shall meet perdition if they do not atone for this grievous sin. Those who murder My Belovéd Little Flowers shall experience the horrors of hell, surely as they deceive themselves by dismissing Life as a burden and not a cherished gift. Those Children who promulgate the murdering of the Innocents shall be judged harshly when there is no sorrow or regret within their Hearts. It is this grievous and abhorrent sin that most offends Me, My Children. It is this loathsome sin that appalls My Sacred Heart and brings the whole of Heaven to its feet in a call for justice. Children, this sin must stop lest My Hand descend upon this World to chastise the sinful and leave My Belovéd Prayerful Children to help those who are spun into confusion by the storm. Children, pray. Pray and soothe the burns [the fires of sin] that feed upon this World. Pray, My Children, and the Christ Jesus is warmed by your Love. Pray, My Children, and without interruption. Your prayers are crucial for this World, and I bless those who are Lovingly attentive to Me. Children, do not become bewildered by what you shall see. You will face many, many difficulties, but persist in your ardent prayers and fully trust in My Love and Mercy for each of you. Trust in My Will for you. Trust in Me and let your faith grow. Peace, My Children. Peace. Belovéd Children, you are called to pray. Pray for all Souls that roam about unchecked, unwanted, and lonely. Pray, and by your prayers, they are saved. Belovéd Children, pay your notice or attention to every person you see. Know that each one is a Belovéd Child of Mine and My Love for them is as great as My Love for you. Belovéd Children, pride is killing this World (that) I have given to Mankind. It is within pride that avarice grows. It is within your pride that you judge and condone sin. It is pride that leads you to hatred and unforgiveness. Pride, Dear Children, is like a weed within your Hearts that must be cut and pulled out. All of its roots must be removed (so) that it will not regrow and become stronger. Pride, My Belovéds, leads to jealousy and makes Man covet what is not yours to covet and makes coveting a spring for anger and jealousy. Thus, I say, Belovéd Children, put down your pride and become like innocent and humble children. Rely on Me in all things. I am your faithful Lord God and Father, and I see to My Children with the GREAT Love of your Eternal Father. Belovéd Children, it was pride that killed the Christ Jesus, My Most Belovéd Son, and it is pride that leads My Belovéd Children to do evil. Belovéds, revel in humility and be thankful for your lot. My Holy Will is correct and good and is constantly for your Hearts to find pleasure (joy) and consolation in My GREAT Love and infinite Mercy. Children, this Time of Mercy ends. Many wait and procrastinate, then very wrongly (believe or think) that this gift is unnecessary or that it shall continue unabated by the quantity and calibre of Man’s sins. Children, a Loving Father does not allow His Belovéd Children persist in their wrong-doing. Your Loving Father has given Mankind standards or rules by which you are to live. It is with these standards that I judge humanity. I am a Merciful and Loving Father, your Eternal God. Thus, come to Me now while the gift of Divine Mercy is present before you. Do not delay, but grasp your Mercy and claim it as proof of My GREAT Love for you. I am a Merciful God, and I am a just Lord. When there is no repentance in the Hearts of Man, how must he be judged? With Mercy or with the cold measure of justice and righteousness? Belovéd Children, you cannot fathom the BIGNESS of Eternal Life. You know only of finite time. Children, you are so small and do not understand that this life you lead is but a flicker within Eternity. Just as an ant is to a Man, so is Eternal Life to My Children. Do not believe you can live carelessly today and expect Life renewed in the next, which is Eternal. Children, there is much sin in this World, and these sins are sins of death. The fruit of all evil resides in death. The death of the Soul is sought by the Fallen One most greedily. He is the king of deceit and the master of all lies. Do not give darkness a foothold to your Lives, Hearts, and Souls by sinning or condoning sin. My Children, you cannot compromise with sin. Even one can build into many, and many make you weak and unresistant to sin. All at once, you will not know what is sinful and shall sin from ignorance and a lack of discernment. Thus, Children, do not allow your proclivity to sin grow by compromising with it. Sin, My Children, destroys your Souls, and your Souls are invaluable to your being. Save your Souls from perdition and avoid sin. Children, you are Loved and My concern for you grows. Children, all that I do and all that I allow is to do one thing. It is to accomplish My Will for each of you, and that is to have all of you with Me in Eternal joy and Love. A Father does not punish His Children for being mild and humble and innocent. No, He chastises the child whose behavior has made him a hellion. The Father metes out justice, that His Belovéd Children understand their mistakes and face the consequences of their lack of learning. Children, I do not chastise this World for being innocent, joyful, and Loving of My Belovéd Son, the Christ Jesus who has redeemed the whole of Man. No, I bring Man’s attention to his many errors. I show to Man where he has gone off the path that the Christ Jesus laid out for each child. I am just when the lukewarm turn their faces away from Me. I am just with the sinners who have made no atonement for their sin. I am a just and righteous judge, and I shall address those who have often and repeatedly sinned against Me. Belovéd Children, the Spring rapidly approaches, and this further urges Me to call out to you, and to make you understand or appreciate and take My Mercy for yourselves. Children, My Mercy is a gift to My Belovéds. Do not ignore or reject this gift. Do not turn away from Me, Children. Already, Man shall not fare well when winter turns to spring and spring becomes the tool by which you are chastised. Children, KNOW ME. Pray and become intimately aware of what I accept and what I do not accept. Know those things I abhor and what displeases Me. When you are aware of these things, so grows your discernment for what is righteous and what is evil. Do not mistakenly believe that evil has no consequences or designs. Sin is a product of darkness and the deceiver of Mankind. As I am, so there is the fallen one who frantically attacks the Souls of My Weakest Children and the strongest. Prayerful and Belovéd Children, the fallen one seeks out your Souls in particular. Because your faith is strong and your prayers given with Love and constancy, he seeks to do you harm and prevent you from achieving what I have asked of you. That is, to pray for Man with the entirety of your Hearts. He does this by distracting you with Worldly matters. He deceives you into anger and suspicion. He does all that he can to bring so much distraction (or) misery to your lives that you become inclined not to pray. That is his trick. Thus, I say, I am not a Lord of confusion and chaos. My Love does not lead you to discord. When your Hearts begin to feel these things and you become troubled, call out to Me and pray. I shall give to you the discernment to know when the fallen one has attacked and the fortitude to repel those attacks. His is a deception that will attack those you Love and use them to drive a wedge between your faith in Me and in the time, the blessed and Belovéd time you spend with your Most Beatific and Divine Redeemer, the Christ Jesus. Pray and let your faith and trust in Me grow strong and flourish. When you are with Me, who can be against you and succeed? Belovéd Children, now is the Time for prayer and fasting. Behold the Eucharist with great Love and reverence, and partake of My Belovéd Son daily. It is through the Eucharist that you are protected, increase your faith, and which intensifies your discernment. My Belovéd Son heaps upon your heads unfathomable gifts, blessings, and Love upon you when you are one with Him in Communion. Thus, approach Him with joy, reverence, adoration, and above all, Love. Children, I long for you, and there comes a Time when you shall long for Me. It will be a barren Time for those who insist on rejecting Love. Bring your brothers and sisters to Me lest they become lost. It is when the reality of truth is revealed where Life is most difficult. Nothing except prayer and repentance can aid you when truth is spoken and sears your Hearts. Pray, My Belovéds, and increase your trust in your Lord God and Almighty Father. Remain always close to Me and do not allow the concerns – the temporal concerns of this World to separate you from Me, even for a minute. It is a spiritually dangerous time, so the fallen one is intent on finding those who have strayed far from their Protector. Children, pray. Your prayers are gifts of gold to Man. The sins of Man are great and terrible. It is by your faithful prayers and Adoration that many, many Souls are saved. Children, go out into this World glorifying My Name. Do not concern yourselves with the opinions and ostracisms of Man. You are on the side of righteousness and Love. It is not in this World where you shall find joy and glory for your Love of the Christ, but in the Eternal Life that waits for you. Belovéd Children, I bless each of you as you pray. Trust that I hear and listen to every prayer and answer each of you like a Loving Father listens to His Belovéd Children. Rely on Me. Lean on Me. Give yourself completely over to Me, and you will find My Love and concern provide all that you need. Rely on Me. Trust fully in Me, and you will discover the burdens you have carried for so long and those that have made you stoop down to face this World become lighter or disappear. When you allow Me to lift the burdens off your shoulders, how happy My Devoted and trusting Children become! Thus, believe in My Love and Mercy. Belovéd Children, pray for My Servants, because many are weak in their faith. Pray for those who promulgate the murdering of My Belovéd Little Flowers which are Blesséd gifts. Pray for those who have already annihilated many. Pray, as their sin is grave and the biggest cause for My Divine Sorrow. Pray for those who have grown lukewarm. Pray for this descending World. I hear your prayers and petitions and answer with abundant Love, understanding, and Mercy. Trust in Me and pray. I give to you enduring Peace, My Children. Peace. Children, does this storm not come? Have there been no signs in the skies? Have you not been told by many of My Belovéd Children that it comes? Are you so deeply entrenched in this World's temporal and cheap treasures that you deny My Calls? Have you become so arrogant as to call yourselves Gods? Regardless of the difficulty, regardless of any pain you may feel, trust in Me and My Love and Mercy. Trust that I am with you and suffer with you. I shall raise you in My Loving Arms and give to you My Solace and Peace. Many of you will be tested. Your faith is to be tested, and the tests will be difficult. More difficult than you can guess. Thus, I say, do not be arrogant in your faith. Know that your faith must be an iron trap that does not give. It must withstand forces that will frighten you.